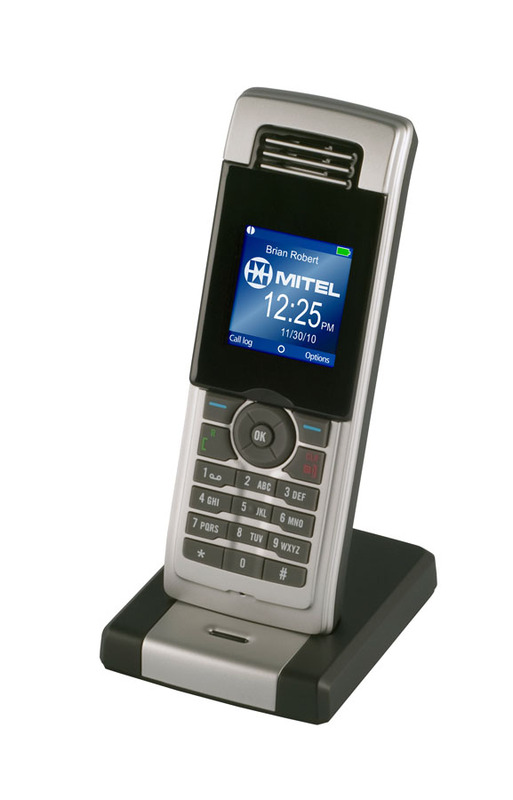 Mitel’s newest peripheral for the desktop portfolio is the Mitel 5610 DECT Handset and Mitel IP DECT Stand for the 5300 Series IP Phones. This unique accessory offers unprecedented convenience and limited mobility for IP Phone users. The 5610 DECT Handset, with full dial pad and vibrant, illuminated color screen, gives users the freedom and mobility to move away from their desk within their office or adjacent offices. The IP DECT Stand simply snaps onto a Mitel IP Phone, and supports up to eight 5610 DECT Handsets. Working behind either the Mitel Communications Director (MCD), or the Mitel 5000 Communications Platform (CP), SIP call processing functionality is provided on these sleek cordless handsets. The 5610 DECT Handset and IP DECT Stand is the ideal mobility solution in hospitality, education, health care and retail, as well small and medium businesses and enterprise markets.